Brochures make ideal Company and Product Profiles. Designed to impress, brochures are great when you have a lot to say. 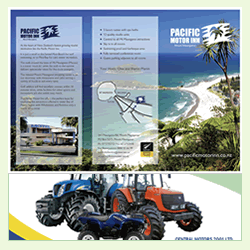 Brochures make it easy for a customer to understand your business and buy products and services. We print a wide range of brochures all in different sizes and are all in full colour. Printed on 150gsm gloss coated stock. Email me your photos, logo and info, I will do the rest. Proofs are free. If you are interested in a monthly campaign, call me, as we can offer special discounts. Flyers work well when you want to provide information at a glance. Your photographs and images will get the attention they deserve from a Flyer in full colour. Flyers are a big part of your Business, whether they are for you to hand out, people to pick up or to be delivered to a mailbox. We print a wide range of different sizes and are in full colour.